Photo: Trinidad footballer Lester Peltier has been signed on to Saudi Arabia's Club Al Mujazzal. Peltier, originally from Carenage, has been paying football in Europe for over eight years. 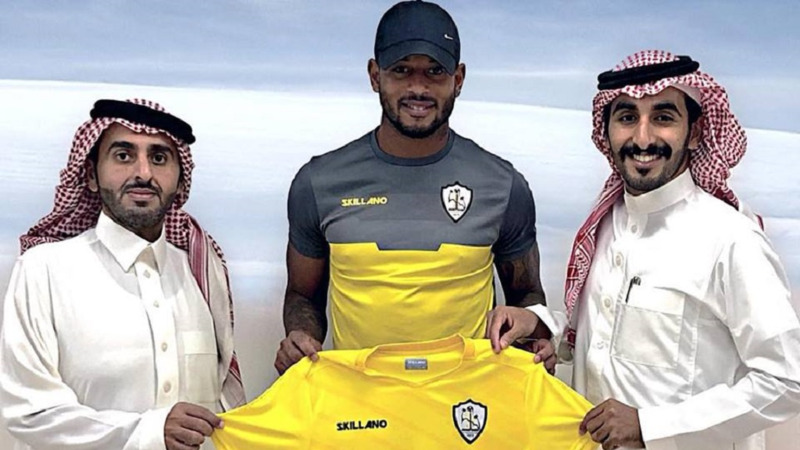 From small-town roots in Carenage, Trinbagonian professional footballer Lester Peltier has come a long way, most recently being signed to Saudi Arabian football club, Al Mujazzal, earlier this month. Speaking to LoopTT, Peltier, who has played professional football in Europe for the past eight years, said the switch over to Saudi Arabia is a big but positive change. "It's a great development for me, this is the third transfer since I've been away from Trinidad and Tobago but it’s a completely different atmosphere from what I was used to, having played in Europe. Coming to Saudi Arabia from Europe was a bit of a change, especially adapting to the different weather and culture, but I believe it’s the perfect opportunity for me to launch a new chapter," he said. The former St Anthony's College student, fondly known by his nickname 'Corn Curls', also gave credit to his hometown in Higgs Street, Carenage, "where all the best players are from," he laughed. "The whole thing started when I was playing in Europe with an Armenian team (Alashkert FC), I had a good season, they were second to last and after I signed, I helped them move all the way up to second place," he said. Peltier said following his impressive performance, someone contacted the team with an invitation for him to join Al Mujazzal. After doing some research and deliberating, he decided to make the switch. Following the whirlwind move, Peltier said he has been treated exceptionally well and is committed to giving the team his all. “It’s a great place, since I’ve been here they’re treated me really well, but the culture is different because everyone is covered up, no one drinks alcohol, stuff like that. But my family is comfortable and everything is going really well. I came over to prove a point, to do well, and to make my team proud," he said. Entering the professional football at 19, Peltier said it was something he was always committed to doing, and something which helped him escape the dangers of the community in which he grew up. The former soca warrior has never forgotten his roots and encouraged other youngsters from Carenage as well as the rest of Trinidad and Tobago to keep focused on their goals. "I think it’s all down to the mentality because where I come from, I knew I always had a choice. I could choose the violent way, or I could choose football." 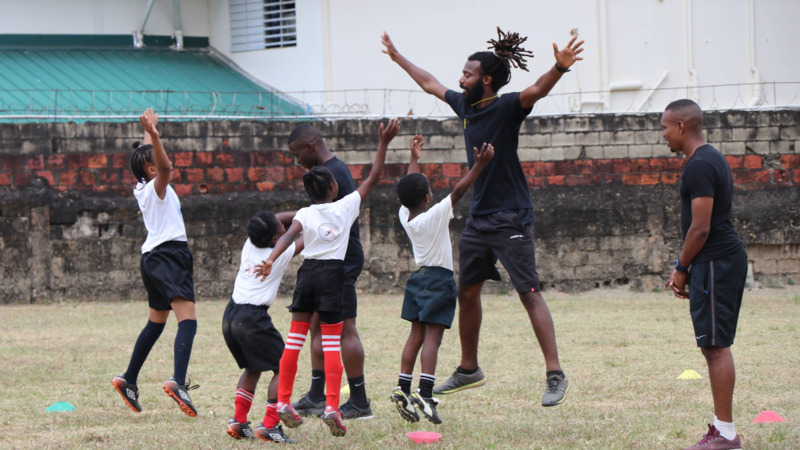 "Whenever I visit Carenage I always talk to the guys and say 'I used to be just like you and I decided to use football to help me make a way out of here, and so can you'," he said. "The youths in Trinidad and Tobago, they can’t give up. If you give up you won’t see it through. I didn’t give up when I saw guns and drugs and stuff like that, I saw football and I saw what it could do." "Wake up in the morning, run, take care of your body because your body is your investment...stick with God, stick with good people, surround yourself with the people who do the best for you." 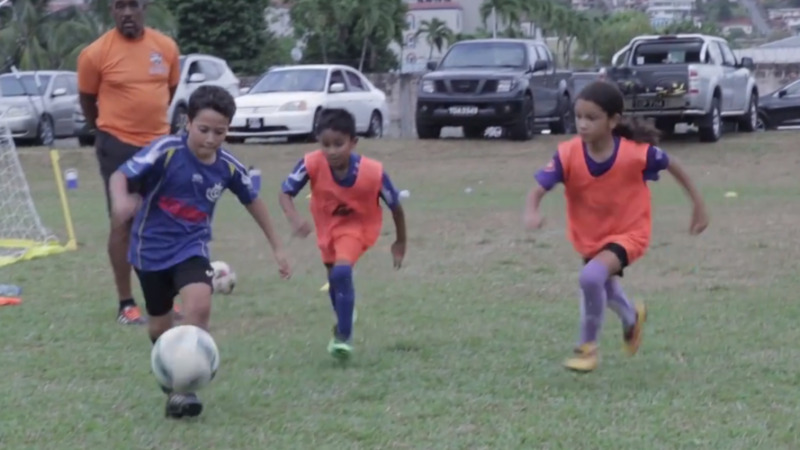 "Trinidad and Tobago has a lot of talent...its all about how bad you want it. And if you’re willing to make the sacrifice, you can do it. We're all born with talent, it’s just for us have the drive," he said. Peltier also hopes that his performance will help pave the way for other Trinbagonian footballers to also be discovered. "When I play in Saudi Arabia, I feel like I’m helping to open the door for others who want to work hard and compete at the professional level, and it’s up to them to make it work," he said. Peltier, who will celebrate his 30th birthday on September 13, said he could not be more grateful for the direction in which his career and life are heading. "It’s all up to God, he has given me the talent and it was up to me to work hard and do the best out of it. I always give thanks to the man up there, and besides that my family and friends, they’ve always supported me from day one," he said.